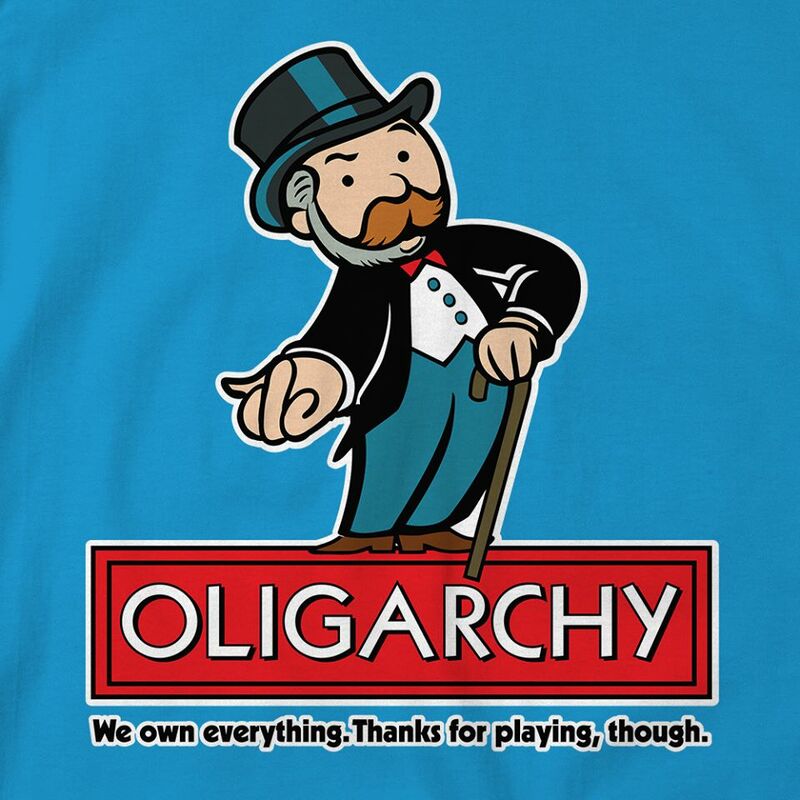 “To understand that, we can turn to an instant classic from a few years ago, Jeffrey Winters’ Oligarchy. Winters argues that the key to oligarchy is that a set of elites have enough material resources to spend on securing their status and interests. He calls this “wealth defense,” and divides it into two categories. “Property defense” involves protecting existing property – in the old days, this meant building castles and walls, today it involves the rule of law. “Income defense” is about protecting earnings; these days, that means advocating for low taxes. A very interesting article citing a couple of, what seem to be, fascinating books. A few days ago I gave myself the task of exploring the concept of contentment – yes, Hariod, your contentment. More so, if the essence of that means acceptance. And more frighteningly, to what degree? Does true contentment mean we stop fighting? Stop trying to swim against the current? Is that the secret? Is that what terminates angst? Should we stop reading The Guardian? Buy stocks in companies that produce terribly flammable cladding? Just go with the flow? It’s a quandary, for sure. I personally word-stab at the oligarch with a toothpick, and pray for a massive coronal mass ejection to destroy the world’s electrical systems. That’s about the only way to reset the world back to an equal economic footing, take all money away from everybody — instantly. It is fascinating that all studies show that before we became civilized, we were often contented. The reason? Well, once we had gathered enough food and had enough to eat and some stored away, why gather more? It would only spoil. We were content. There was no mechanism to have more than was needed. But, when the elites realized they could coerce us into creating a surplus that could be stored (primarily in the form of grain), greed became a manifestation of human ambition. More fields, more farmers, more grain, more soldiers and bureaucrats who didn’t need to collect food. And all you had to do was coerce the farmers to give up their happy lives and work harder and longer for no actual benefit. And contentment disappeared. Take down the computer grids and electrical grids as Anony suggests and instantly we are back in the hunter-gather stage … unfortunately we are also toast because there are to many people to be supported this way and besides, the skills are lacking. So, massive die off, ha, ha! I prefer the giant meteor impact scenario, less human on human violence. I know I’m a Pollyanna, but if contentment = knowing when we have ‘enough’ and not striving for more, surely that is something we can achieve if we set our minds to it? Blind striving = misery, but if we see what’s happening, why is it so impossible to apply the breaks like real, thinking human beings? I’m trying to follow in your footsteps and find a way to make it not last too long… It’s better now than it used to be, but still far from ideal. Very well said. The mind in its busybody state can be devastating. Many of us learned its power, or perceived power, and therefore fight letting go of attachment (to people, things, ideas). I’m still learning to recognize the controlling tendencies of my mind, but in becoming aware of it, I am creating space. It’s far easier once I “see” what the mind is doing and how it prevents me from accepting and enjoying what IS. Winters’s comments do seem focused on the United States. I didn’t realize how interconnected politics and economics are until I started listening to BBC News — the connections seem much more obvious in British media, so obvious that they do not merit comment. This entry was posted on October 16, 2017 by The Pink Agendist in thinking aloud and tagged oligarchy, politics, psychology.